My current home base of Chicago is April’s Featured Travel Destination, and I thought the best way to introduce the city was to present a collection of 100 images from the Windy City, covering everything from the vibrant ethnic neighborhoods to the cultural events to the everyday tasks like getting around town. 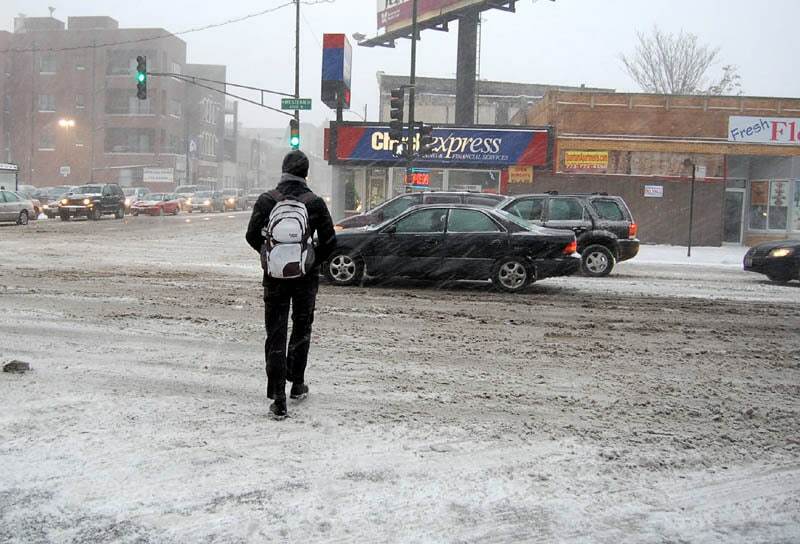 I wouldn’t say these images necessarily capture the entirety of life in Chicago. Your own experience may vary. They’re just a collection of some of my favorite shots from my Chicago experience. All photographs copyright Quirky Travel Guy. If you enjoy this post, please share it on Facebook, and Like our page on Facebook as well. And check back for a new Chicago-themed article every Monday in April! 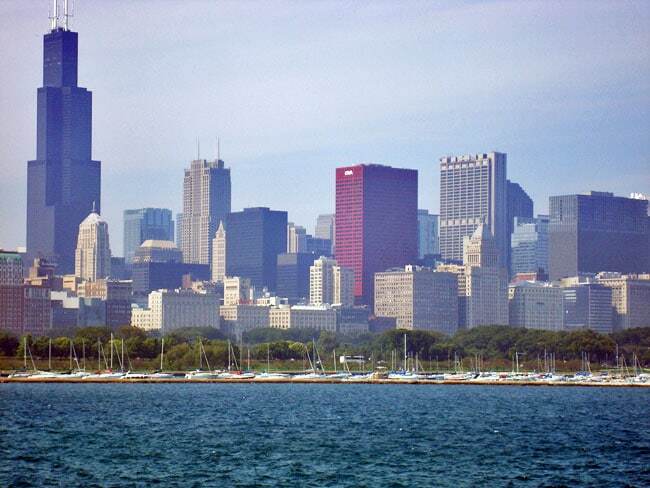 1) Starting off with one of Chicago’s most recognizable features, its skyline. 2) And the skyline in stormy weather. 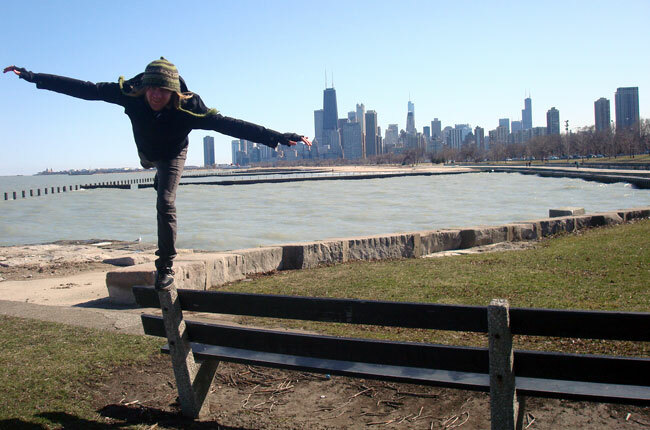 3) And again from the lakefront. 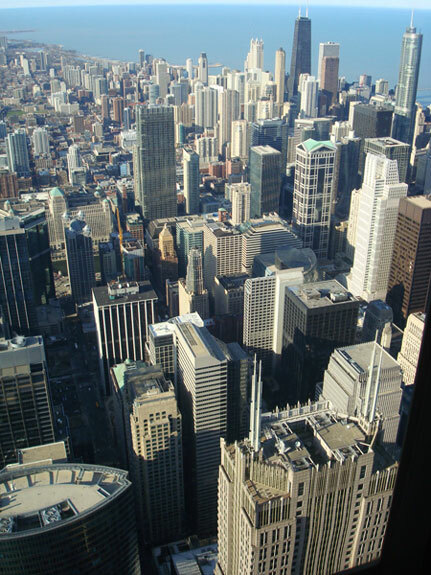 4) And from above, looking down from the Willis (Sears) Tower. 5) Go higher still and look at a shot from the window of a plane. Everything looks so small, like Mr. Rogers’ neighborhood! 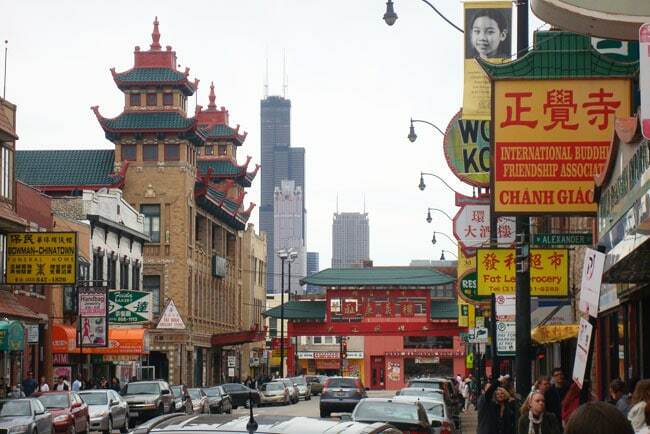 6) A portion of the skyline as seen from the vibrant streets of Chinatown. 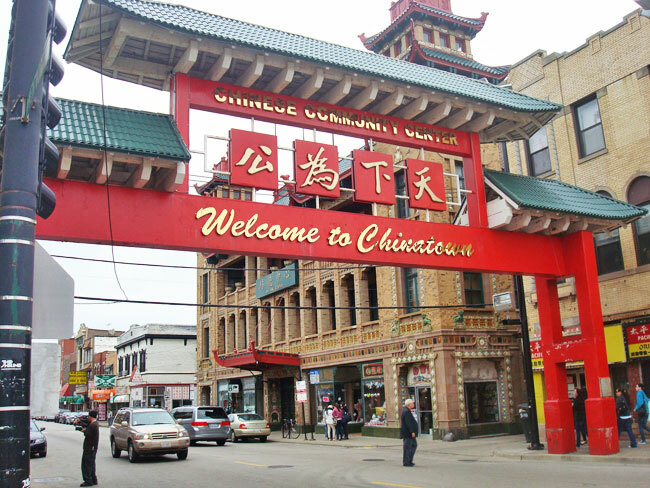 7) A visit to Chinatown is a great way to spend a day. 8 ) An aging piece of street art from Chinatown. 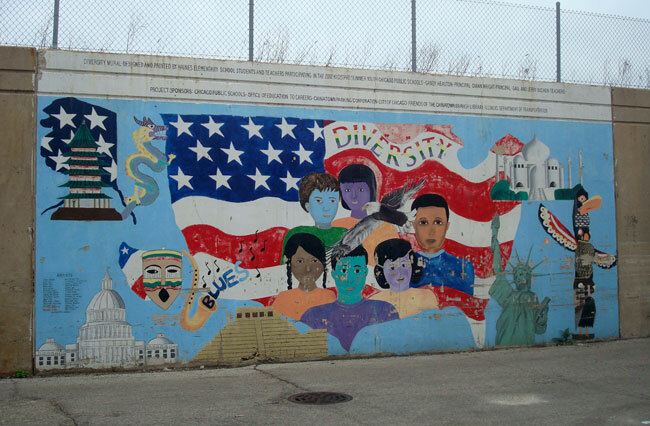 9) Here’s a slightly more futuristic and modern piece of art near Wicker Park. 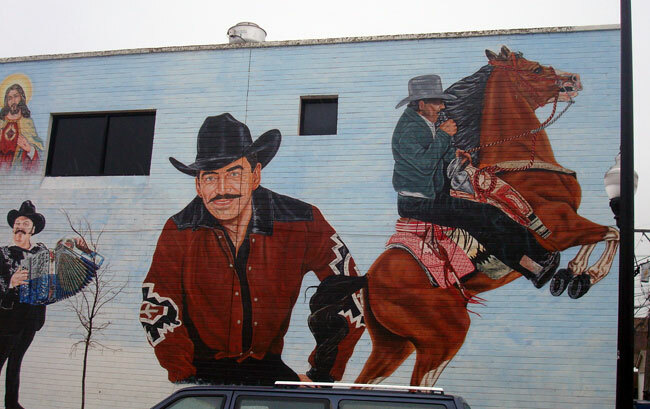 10) The predominantly Mexican neighborhood of Pilsen does not take a back seat when it comes to awesome art. Look at all the detail that went into this one. 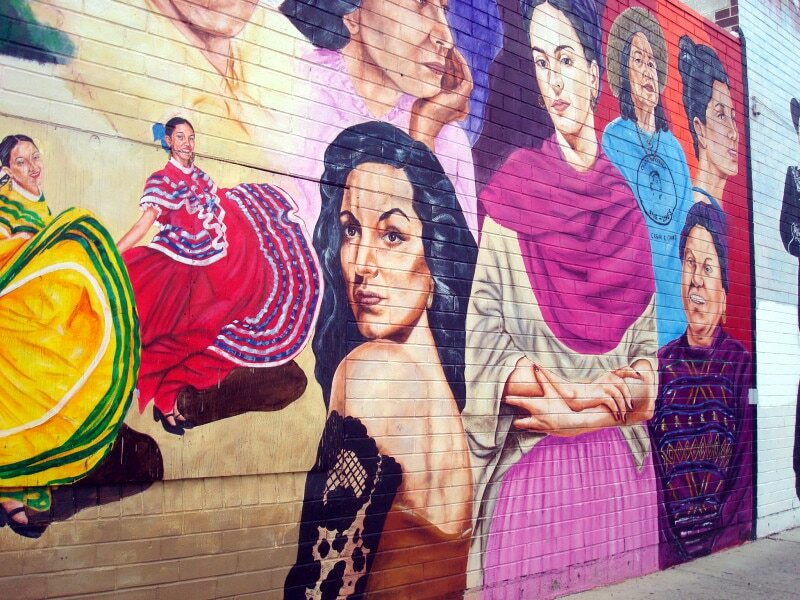 12) Pilsen is home to the Mexican Art Museum, one of the best free attractions in Chicago. 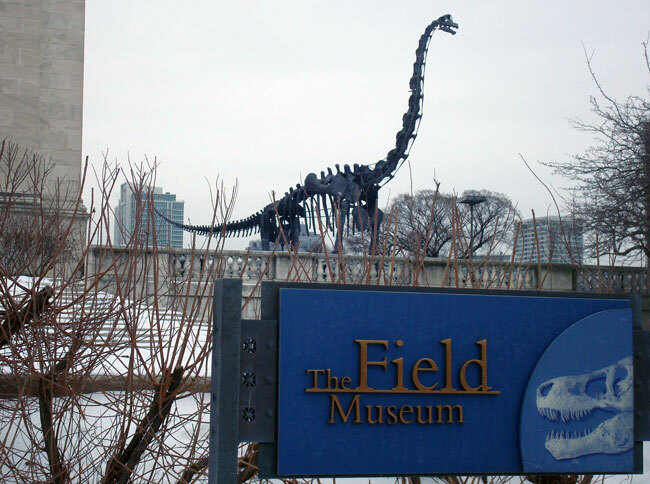 13) A very different kind of museum, the Field Museum, takes visitors back millions of years. 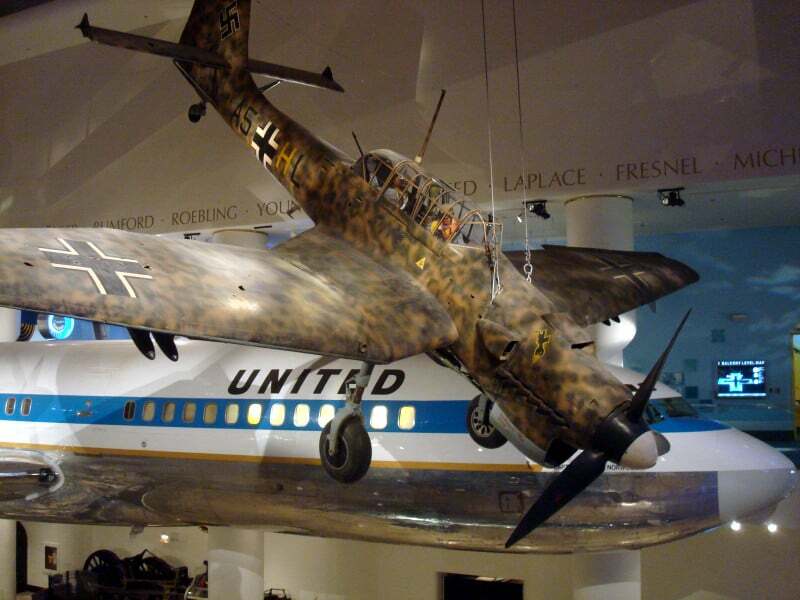 14) Get your fill of vintage planes at the Museum of Science & Industry. 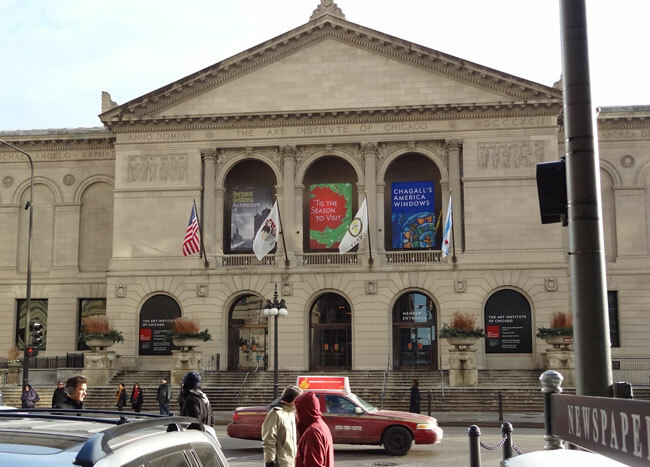 15) The imposing Art Institute of Chicago houses some of the city’s most impressive art. 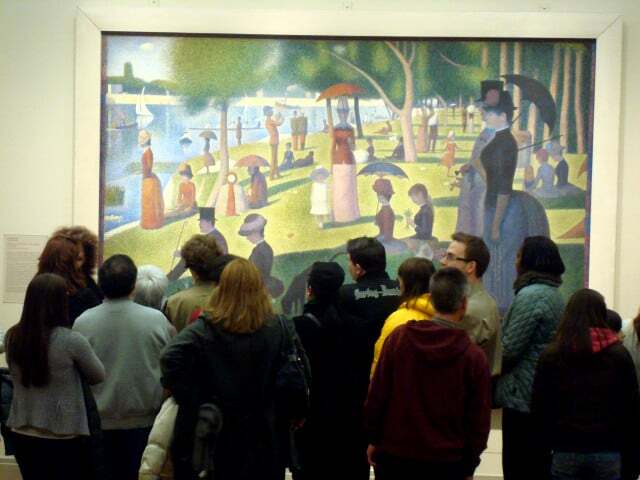 16) Inside, you’ll find Seurat’s famous “A Sunday on La Grande Jatte.” One of my favorite Family Guy episodes is where Stewie visits the museum and stares deeply into the picture, in a parody of Ferris Bueller’s Day Off. 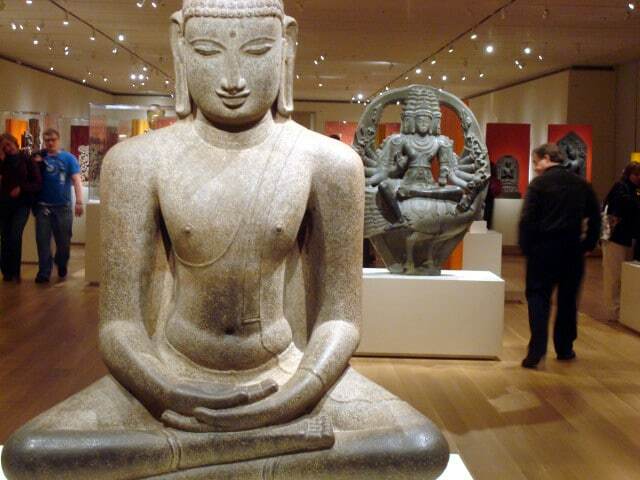 17) And you’ll find lots of really old statues and sculptures. 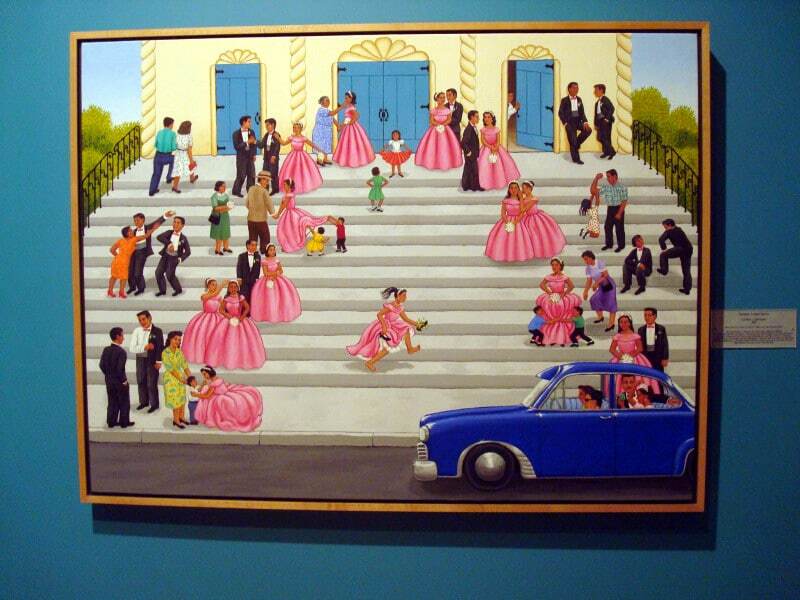 18) Everything about the Museum of Contemporary Art is cool. 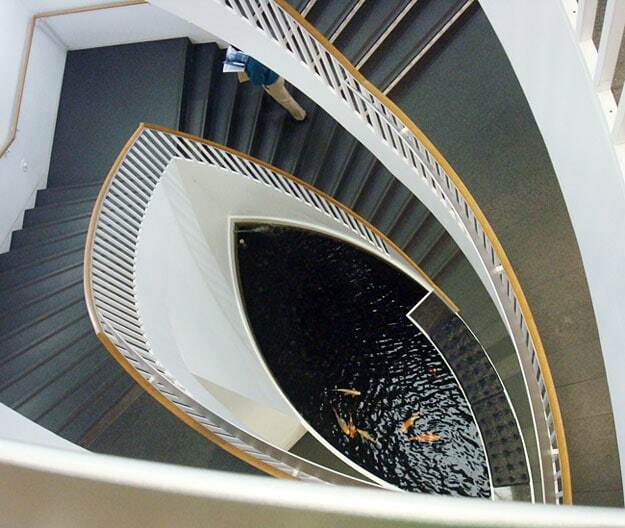 Even the staircases, which make for some cool geometry when viewed from above. Note the fish pond at the bottom. 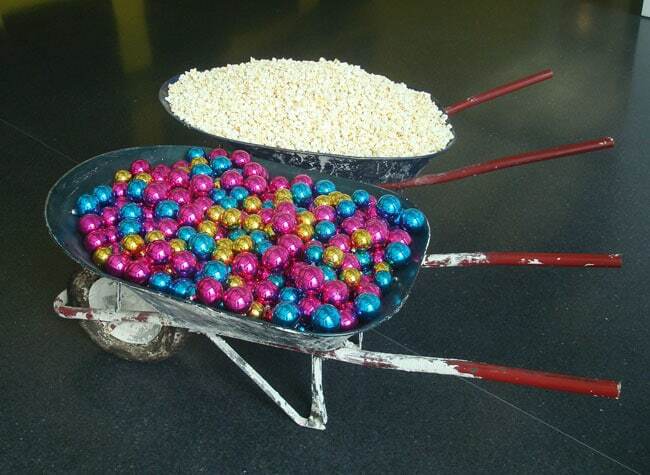 19) I love modern art because you can take wheelbarrows full of Christmas bulbs and popcorn and call it a masterpiece. Look how pretty! 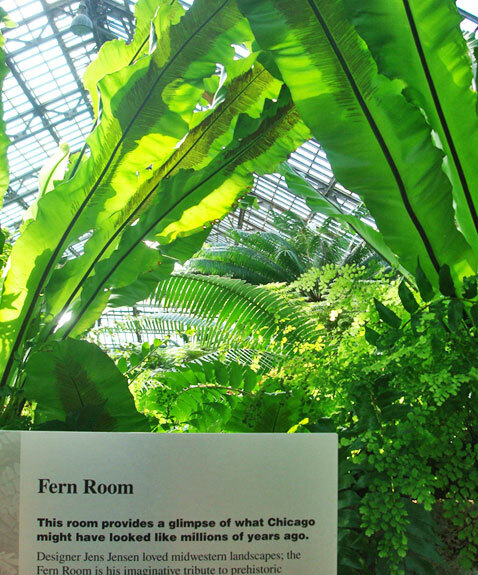 20) The Garfield Park Conservatory is the place to go to get your botany fix. The ferm room is cool, showing how Chicago would have looked ages ago. 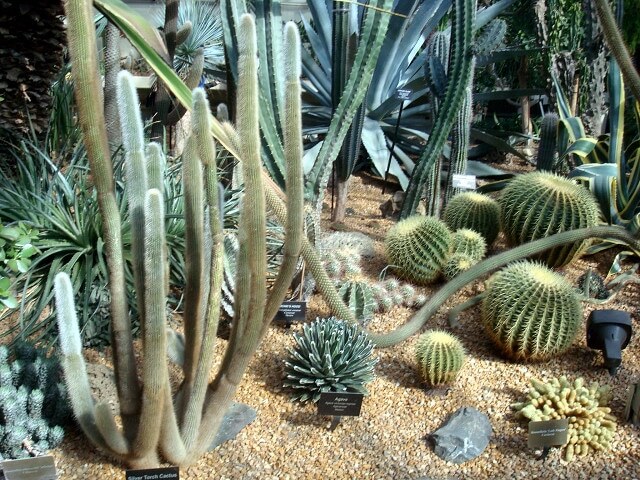 21) Then there’s the cacti, my favorite plants, because they’re so strange. 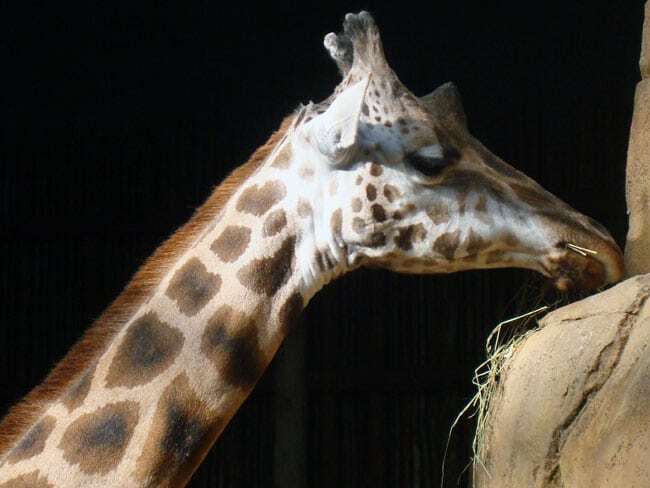 22) If animals are more your thing, check out the Lincoln Park Zoo, the largest free zoo in America. 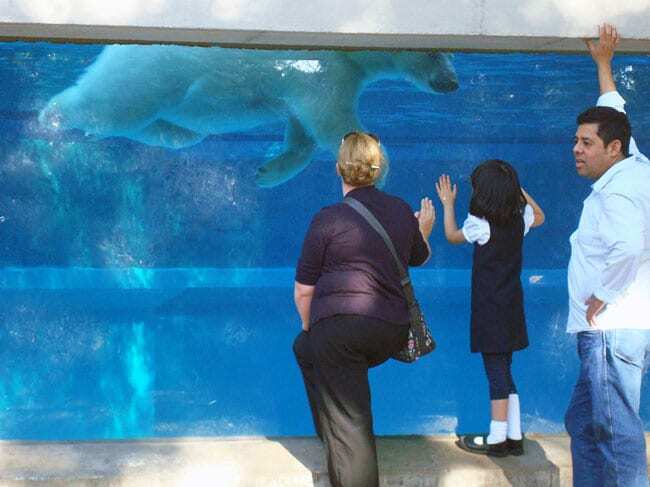 23) The zoo is open year-round, which is great for winter animals like polar bears. They like to get up close and personal with visitors. 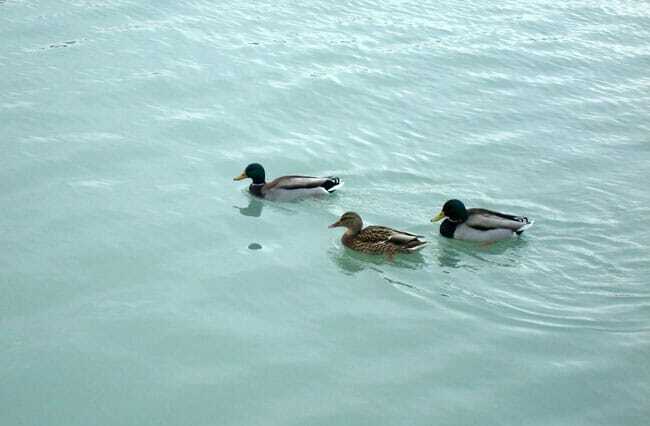 24) Ducks and geese enjoy the lake and harbors even when it’s cold outside. 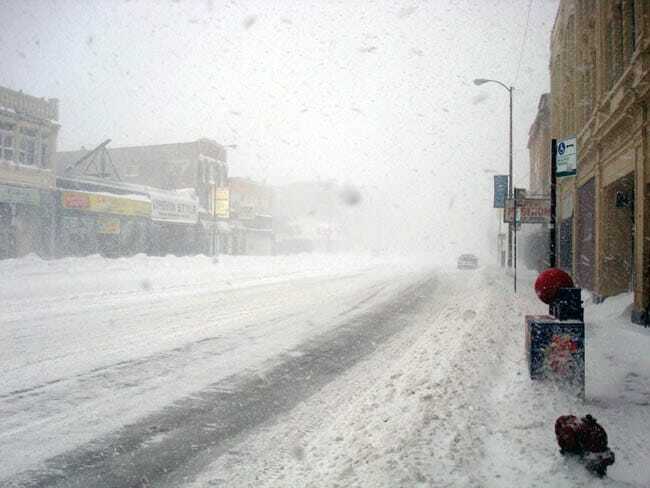 25) I don’t know if you’ve heard, but it can get a little cold in Chicago during the winter. 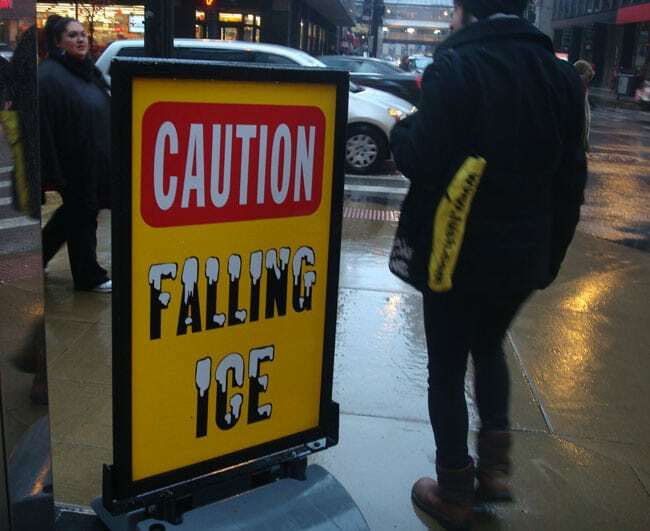 26) The weather can lead to the formation of dangerous ice projectiles. I don’t know what this sign is supposed to accomplish. Are you supposed to wear a helmet? Look up into the air while walking around? 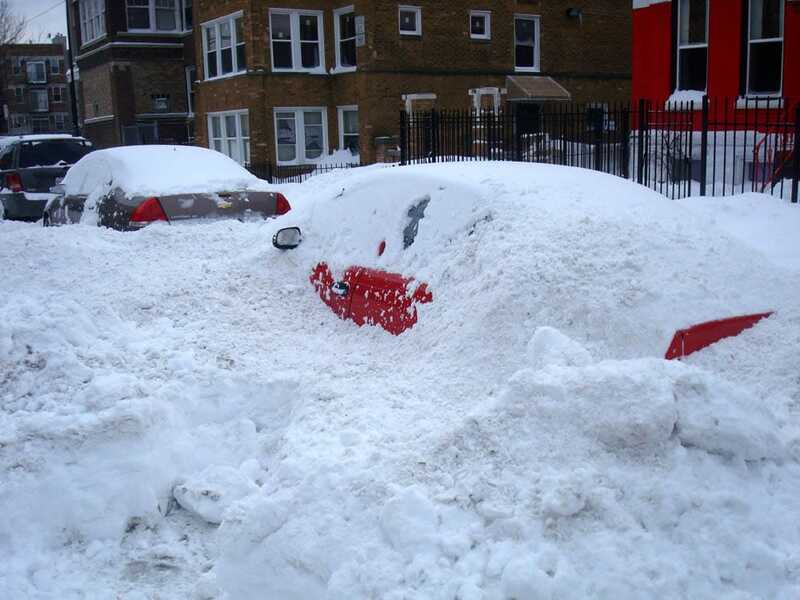 27) Cars buried under feet of snow. 28) And whiteout conditions on major roads. 30) Then, it’s time to shovel out. 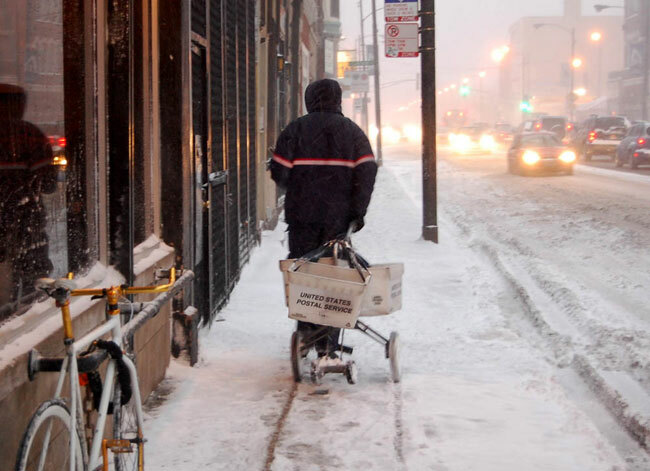 31) The mail delivery doesn’t stop. 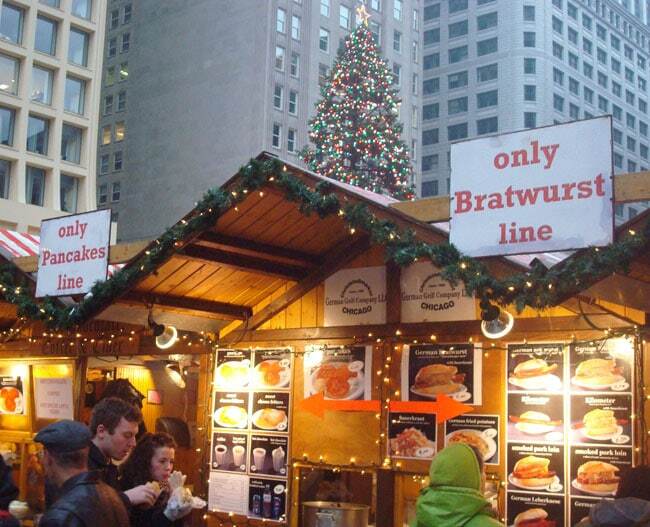 32) In December, the Christkindlmarket takes over downtown. The open-air festival features a traditional German market with novelty items and food for sale. 33) The Parade of Lights also rings in the holiday season. Kermit the Frog, Frosty the Snowman, and Rudolph are among the winter luminaries who make appearances. 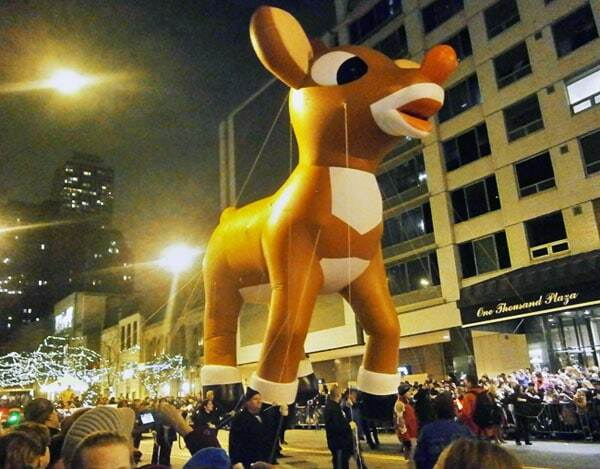 34) Christmas isn’t the only time for parades and festivals in Chicago. 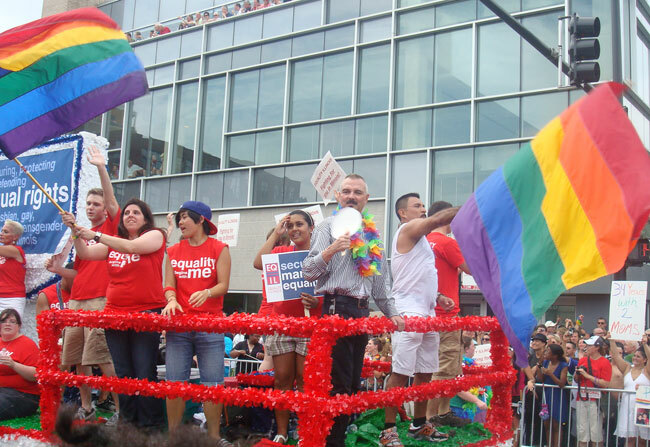 The pride parade hits Lakeview in late June. 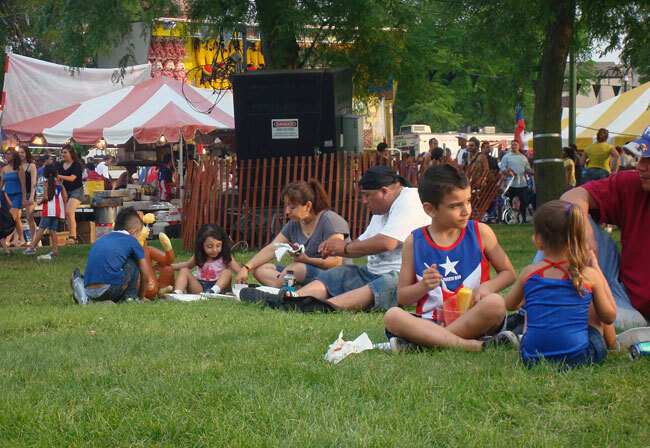 35) Kids enjoy sweet treats at the Puerto Rican festival in Humboldt Park. 36) No city has more music and street fests in the summer. 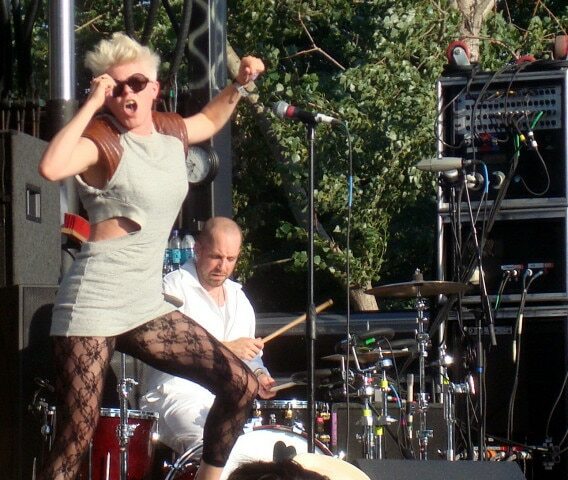 Robyn dances on her own at Pitchfork. 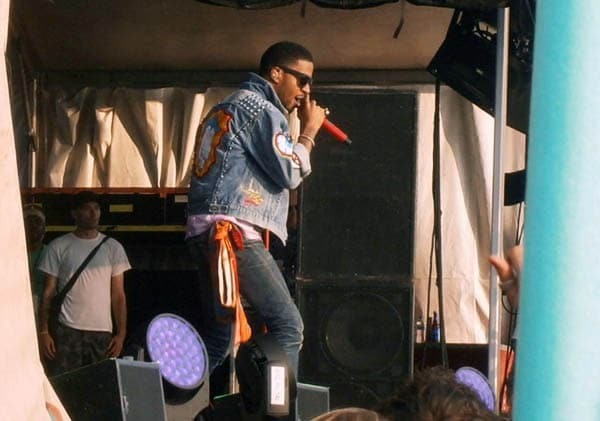 37) Kid Cudi is in pursuit of happiness at the DMB Caravan in 2011. 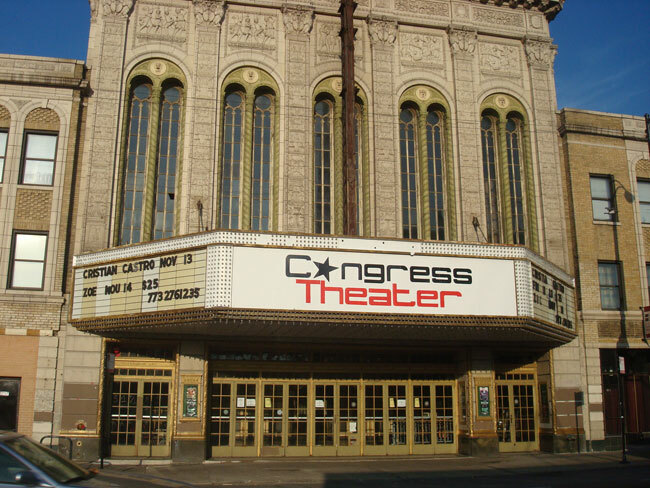 38) The Congress Theater hosts a bunch of rock shows. Good for them for not using the pretentious “theatre” spelling. 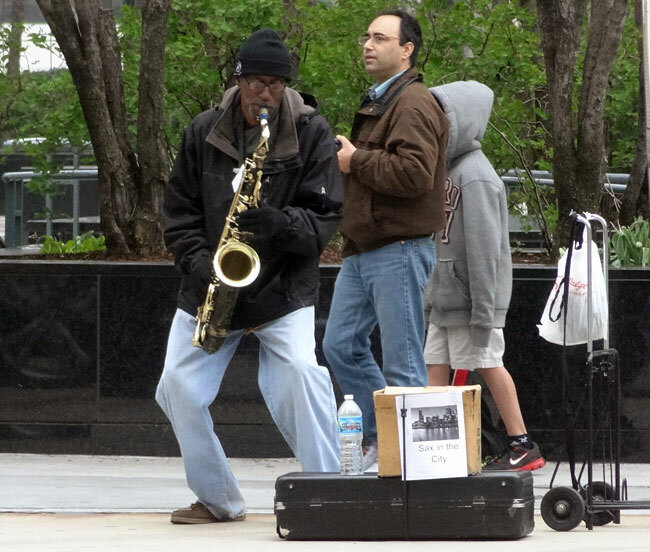 39) Sometimes the street musicians are almost as good as the famous ones. 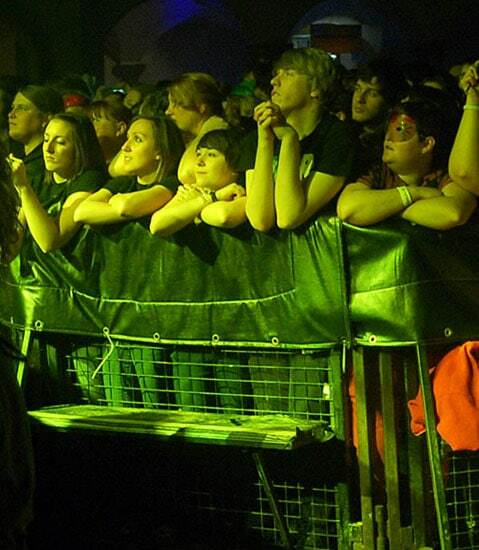 40) Young fans await a My Chemical Romance concert. 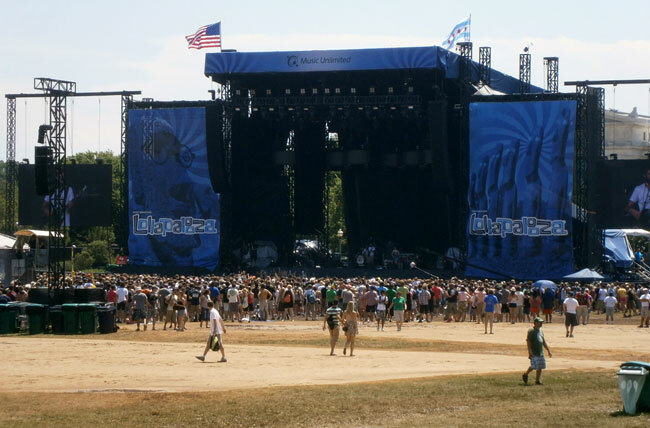 41) The biggest music fest of all is Lollapalooza, which reigns for three days in early August each summer. 42) Up to 90,000 fans come through the front gates each day. 43) White people with cameras! Kim Schifino from adorable indie pop duo Matt & Kim crowd surfs at Lolla. 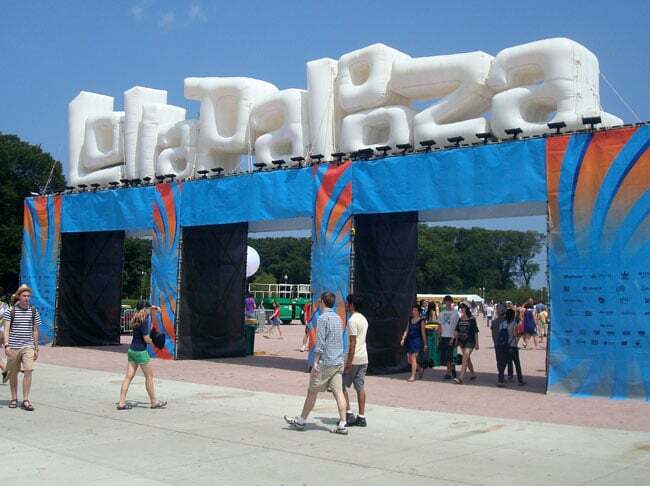 44) Sidewalk art pops up at Lolla. 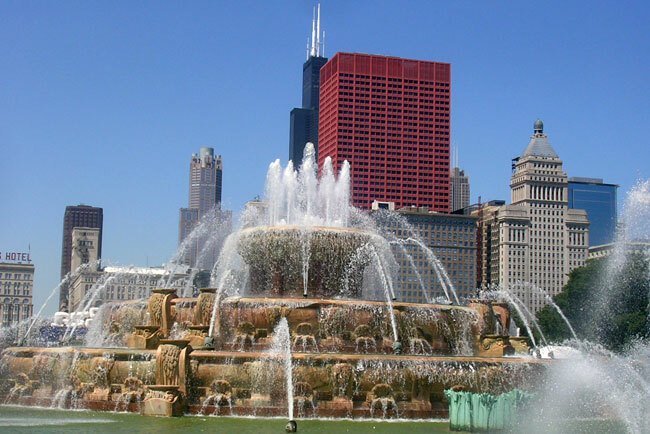 45) Lolla takes place in Grant Park, home of the Buckingham Fountain. 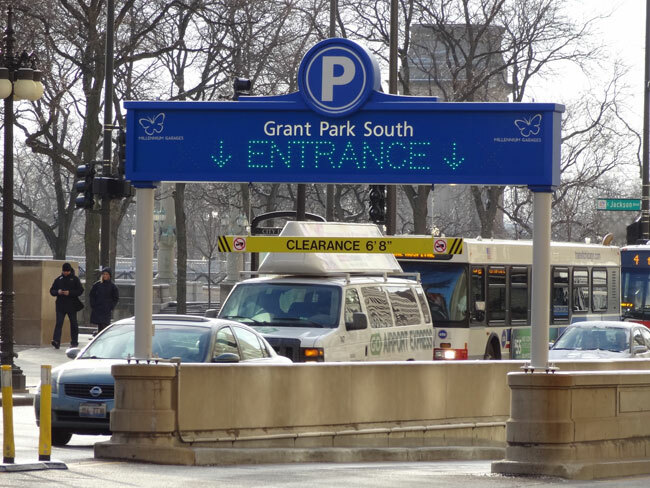 46) Driving to Grant Park is never advised, but you can find parking if you insist. 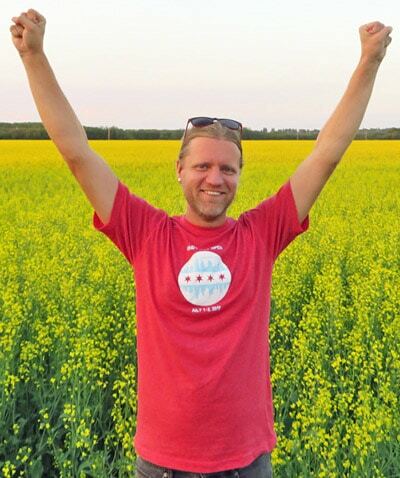 47) Nearby is the world-famous Cloud Gate Sculpture, otherwise known as the Bean. 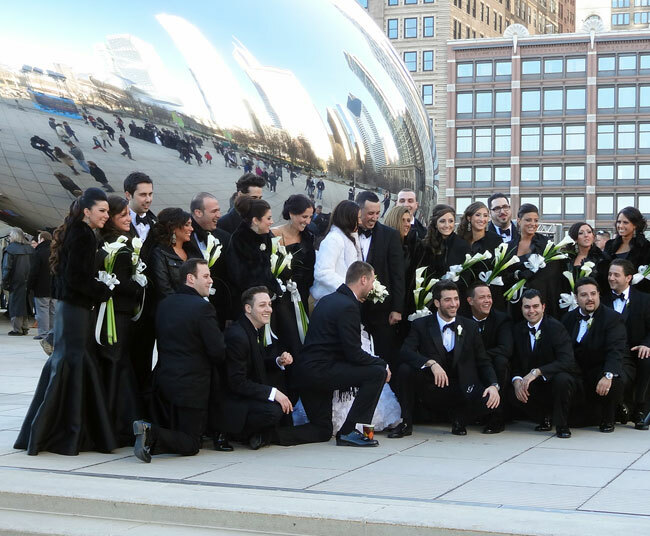 You may even catch a wedding in front of the reflective structure. 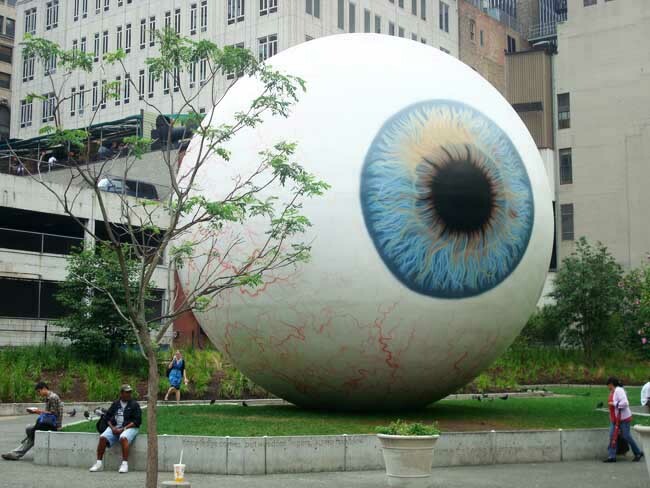 48) I miss the giant eyeball that used to surprise people downtown. 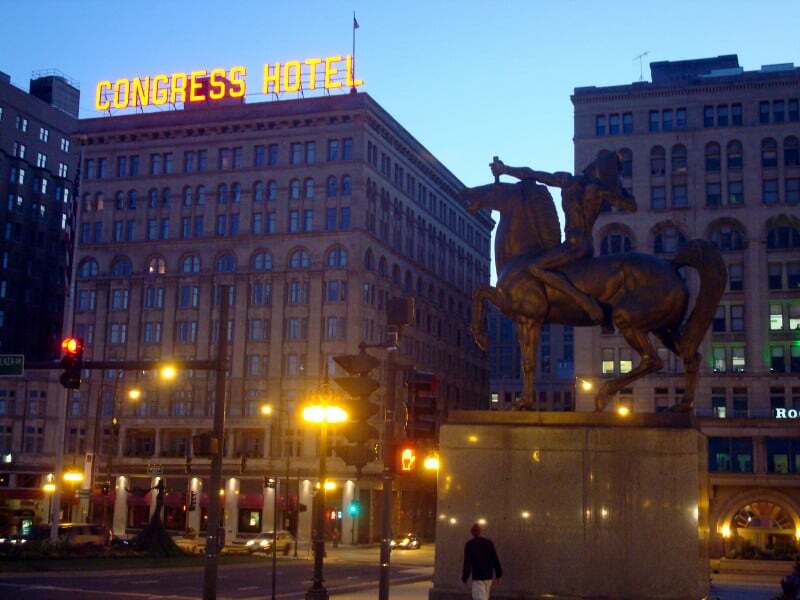 49) The Congress Hotel was built back in the 1890s. 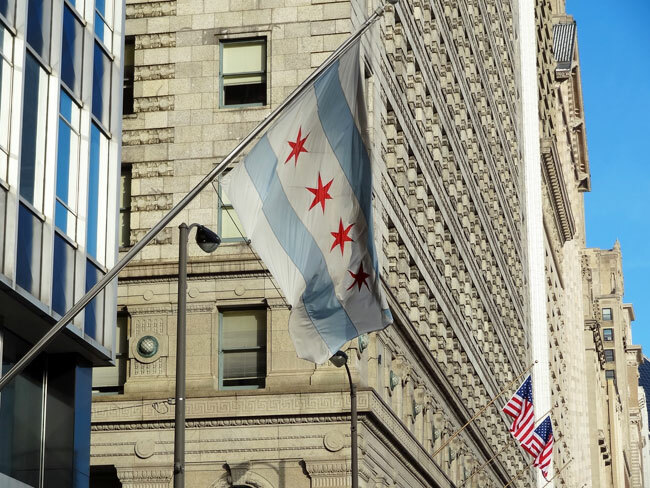 50) The Chicago flag flies high. Click here to see the second half of our 100 Chicago images post, including photos of Chicago sports, the lakefront, downtown architecture, and some less-touristy neighborhoods. omg, you did it!! 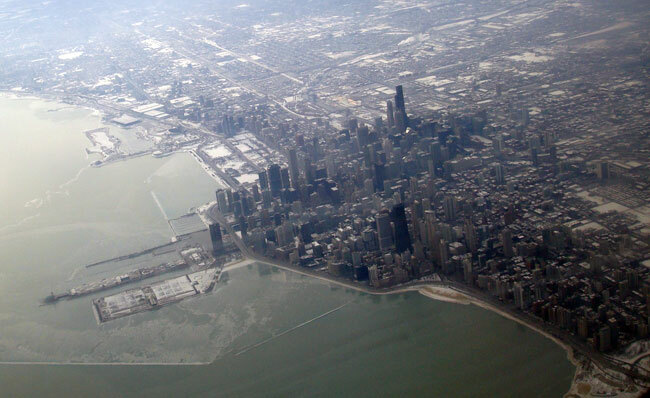 I don’t even know if I have 100 photos of any place yet (have to dig around in my folders) Love your photo #3, looked like you are flying into Chicago! It’s fun to see Chicago from the air because all the massive buildings are so small. Great collection Scott! Makes me want to visit Chicago soon! Great pictures! I never seem to take enough when I travel. 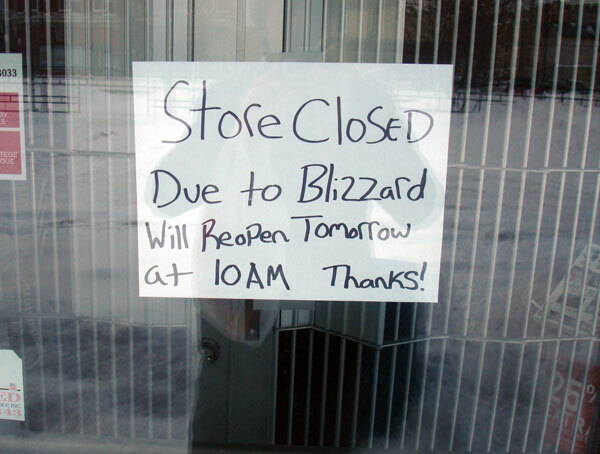 The blizzard sign was so funny to me! 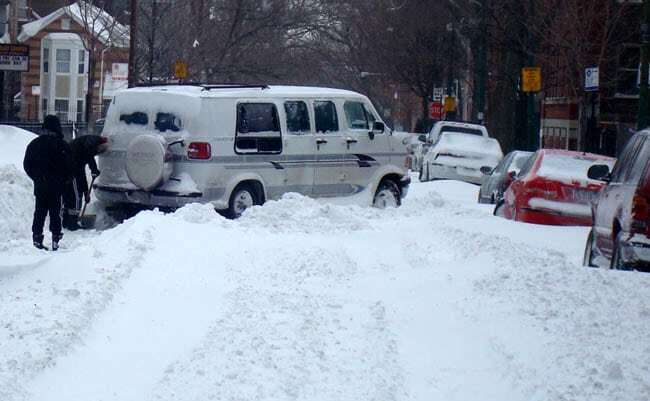 Considering when DC went through the Snowmaggedon, we were shut down for over a week! It was just as much snow or less than shown in those picutres. We were only shut down for a couple days here, luckily. My disdain for snow keeps me south bound during the winter, but I think just once I would have to attempt experiencing this snow thing at least once…maybe during the holiday. If nothing else it would provide a stark contrast to the beautiful photos that you have displayed here. I might have to do just that…..as soon as I summon up enough courage!! Everyone has to have a few snowy experiences now and then! 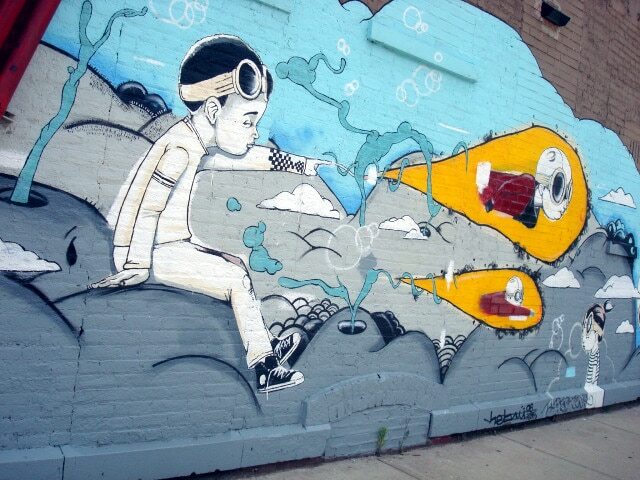 Love the street art photos! And I can’t believe cars actually get covered by snow like that; I’ve never been anywhere in the winter that’s gotten more than a few feet. Yikes! That was from 2011, it was the worst storm I’ve ever seen. Chocolate art – now that is fun! Winter in Chicago does provide a lot of interesting sights. HOLY SMOKES!!! What an ambitious undertaking to post all these photos, but what neat photos you captured!!!!!!! I like how you broke it up in 2 posts and I LOVE the array of life, culture and vibrancy you captured. Super neat to see Chicago via your eyes. Thx for sharing! Thanks Courtney. It was ambitious but fun to put together. You said that you missed the giant eye sculpture – what happened to it!? I think it was moved to another city. Its whereabouts remain in question! I never get tired of seeing photos of Chicago (but prefer to actually be there). I especially like all of the snow pics the one of the Congress Hotel at night. Well done! Thanks. I agree, photo essays are fun. 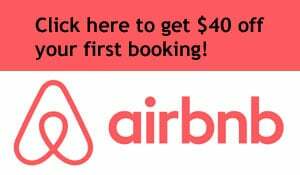 So happy to see this post as I may be coming down from Toronto in June. Although I need more food photos and less snow photos! I need some more food photos myself. I usually dig in without remembering to snap pics. At least this winter was easy. Very little snow and 87 degrees in March!